Google-owned mapping app Waze was today updated with support for the Siri Shortcuts feature that Apple introduced in iOS 12. 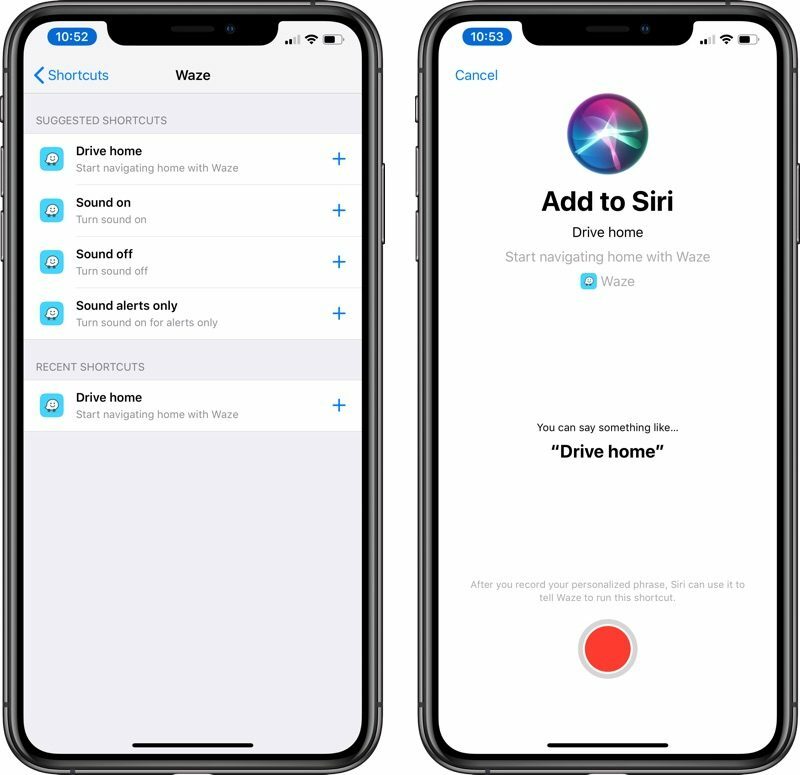 With Siri Shortcuts in Waze, you can record shortcuts for your drive home, drive to work, favorite locations, and more, all of which can be activated with a simple Siri voice command. Waze is a popular Apple Maps alternative on iOS devices as it is known for its accurate traffic and hazard alerts, along with time-saving routing changes. Siri Shortcuts for Waze can be set up by opening up the Settings app on the iPhone, navigating to "Siri & Search," and tapping the "Shortcuts" button. From there, either scroll down to the Waze section or search for Waze. You will need to have your home, work, and favorite locations set up within the Waze app for those options to show up. But can you say to likes of, "Car on side of road" for a hazard or for any of the other alerts? If not, until then this isn't too useful. Favourites not showing for me. Running latest Waze beta. Only home and work. I found out how to get them. Go into the Waze app. In the sidebar menu, tap on favorites. Then tap on the ellipsis button by your favorite. Than tap "Add Shortcut." On topic, just updated the app and the ability to add the Siri shortcut is there. Will definitely be using this on a daily basis now.